Since its inception, many physicists have seen in quantum mechanics the possibility, if not the necessity, of bringing cognitive aspects into the play, which were instead absent, or unnoticed, in the previous classical theories. In this article, we outline the path that led us to support the hypothesis that our physical reality is fundamentally conceptual-like and cognitivistic-like. However, contrary to the “abstract ego hypothesis” introduced by John von Neumann and further explored, in more recent times, by Henry Stapp, our approach does not rely on the measurement problem as expressing a possible “gap in physical causation,” which would point to a reality lying beyond the mind-matter distinction. On the contrary, in our approach, the measurement problem is considered to be essentially solved, at least for what concerns the origin of quantum probabilities, which we have reasons to believe they would be epistemic. Our conclusion that conceptuality and cognition would be an integral part of all physical processes comes instead from the observation of the striking similarities between the non-spatial behavior of the quantum micro-physical entities and that of the human concepts. This gave birth to a new interpretation of quantum mechanics, called the “conceptuality interpretation,” currently under investigation within our group in Brussels. 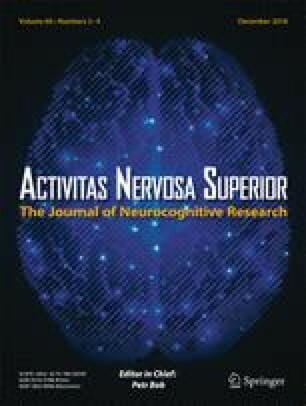 Submitted to a special issue of Activitas Nervosa Superior: Brain, Mind and Cognition, dedicated to Henry Stapp in honor of his 90th birthday. Aerts, D., & Sassoli de Bianchi, M. (2018a). The extended Bloch representation of quantum mechanics for infinite-dimensional entities. arXiv:1704.06249 [quant-ph]. Aerts, D., Sassoli de Bianchi, M., Sozzo, S., Veloz, M. (2018a). On the conceptuality interpretation of quantum and relativity theories. Foundations of Science, https://doi.org/10.1007/s10699-018-9557-z. Aerts, D., Sassoli de Bianchi, M., Sozzo, S, Veloz, T. (2018). Quantum cognition goes beyond-quantum: modeling the collective participant in psychological measurements. arXiv:1802.10448 [q-bio.NC]. Sassoli de Bianchi, M. (2018). On Aerts’ overlooked solution to the EPR paradox. arXiv:1805.02869 [quant-ph].